Presenting the AWE Tuning Foiler™ Wind Diffuser. The simple, elegant, and proven solution to wind buffeting in Porsche 718/981/991s. You know that sound that makes it feel like your head is going to implode when driving your Porsche at speed with one window down? That’s called wind buffeting. It happens when you’re moving fast, and it’s quite the issue on the new generations of Porsche Boxster/Cayman and 911. So instead of just letting our brains melt under the pressure of wind buffeting, we did something about it. The AWE Tuning Foiler™ Wind Diffuser boasts an unobtrusive yet elegant design. 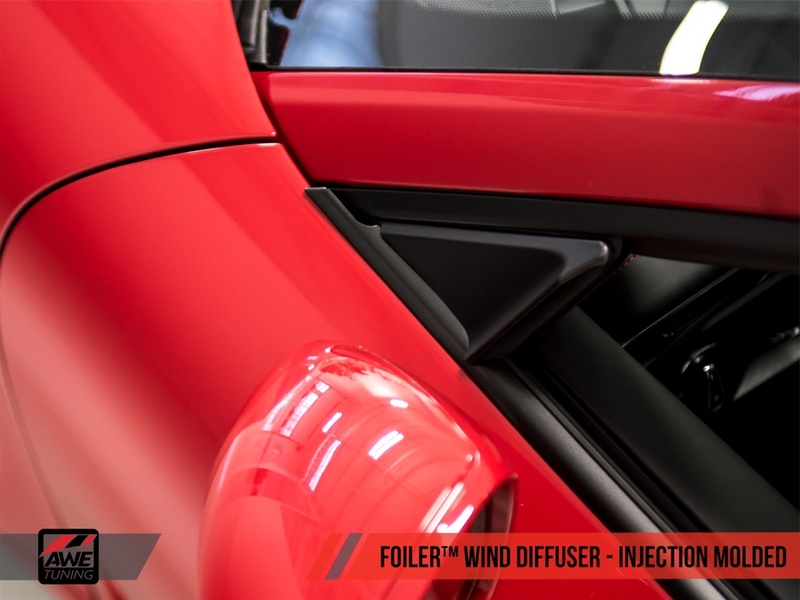 Crafted from UV-stabilized injection-molded plastic, the Foiler™ Wind Diffuser complements Porsche styling without calling unwanted attention. Installation is a breeze with AWE Tuning’s user-friendly, bolt-on design. Wind buffeting is defeated, and you can continue to go fast. 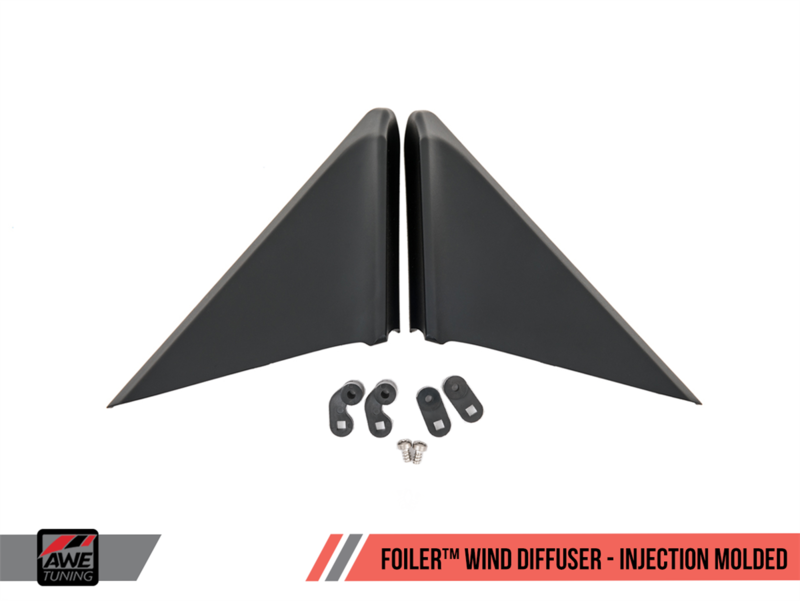 Passenger and Driver's side Porsche Foiler™ Wind Diffuser included, as well as all hardware needed for installation.